Take your landing page design to the next level by incorporating a layout that follows these best practices to increase conversions. 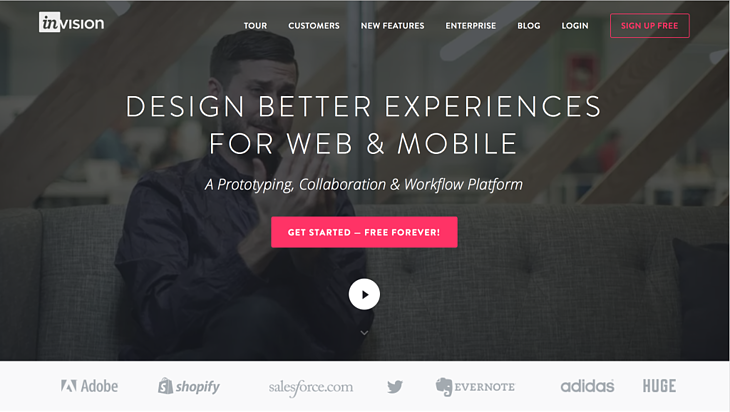 Want to take your landing page designs to the next level? 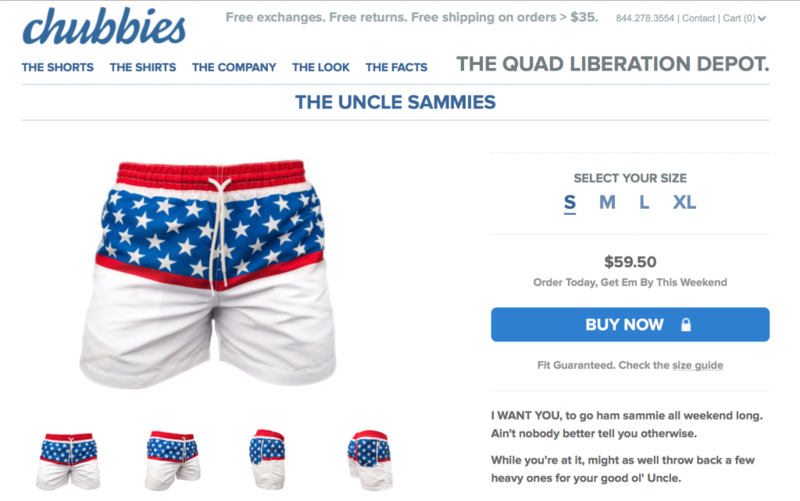 There is no perfect formula, but locking down a few best practices can help you create a layout that will easily guide a user through the offer, and ultimately boost conversions. Be sure that your advertisement and landing page headlines are worded and styled consistently to make it a seamless transition between pages. This can also improve your AdWords score. 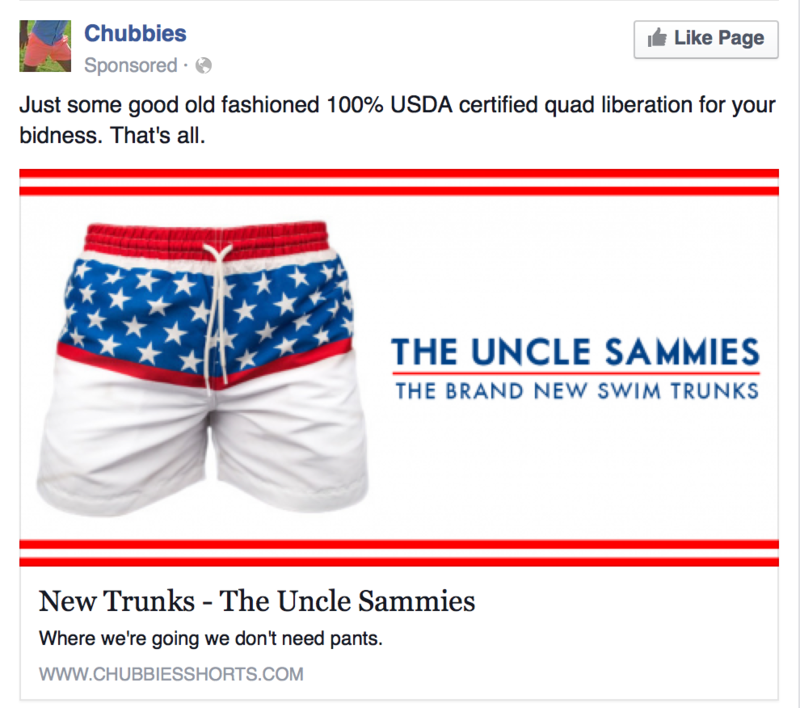 Chubbies does an excellent job of carrying over their headline from their Facebook advertisement to the top of their landing page, as it is the same font and color. Your logo should be strategically placed on the page so that users know exactly where they have been directed. Uber’s logo is found in the center of a clean and simple navigation, assuring the user that they have been brought to the right page. Implement images and/or videos that relate to the copy. Not only do visuals help explain the offer more efficiently, but they can also push a user to look further into your products or services. 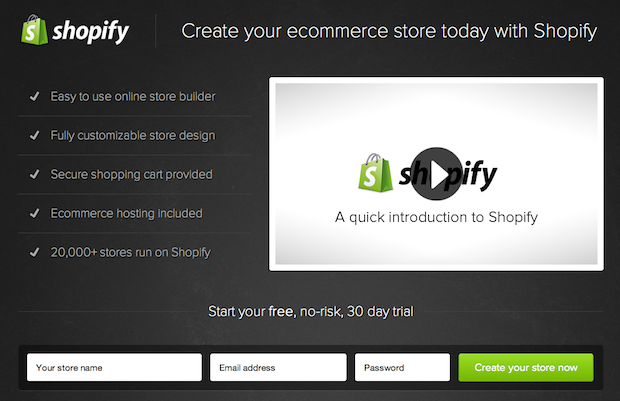 The introduction of a multimedia element, like the video on Shopify’s landing page, is a great way to engage and excite a user, and to convey information that could have been copy heavy. The call to action should be above the scroll and below the right amount of copy to ensure you are giving the offer at the right time. Making the button contrast with other elements on the page will make it easy for the user to find. 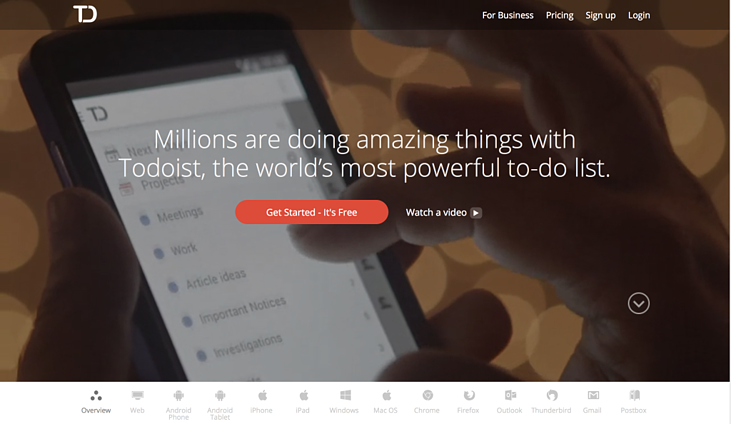 Todolist’s call-to-action button stands out amongst all other elements on the page, allowing an easy experience for a user to create an account. Including trust indicators/social proof such as testimonials, guarantee seals, awards, third-party security certifications and press mentions provide authenticity to the offer. InVision has placed their partner logos above the fold so that a user sees authenticity before scrolling through the rest of the landing page. Use whitespace to your advantage. A landing page doesn’t need to be flashy, and using whitespace can help clearly state the page’s purpose and get to the point of the offer. 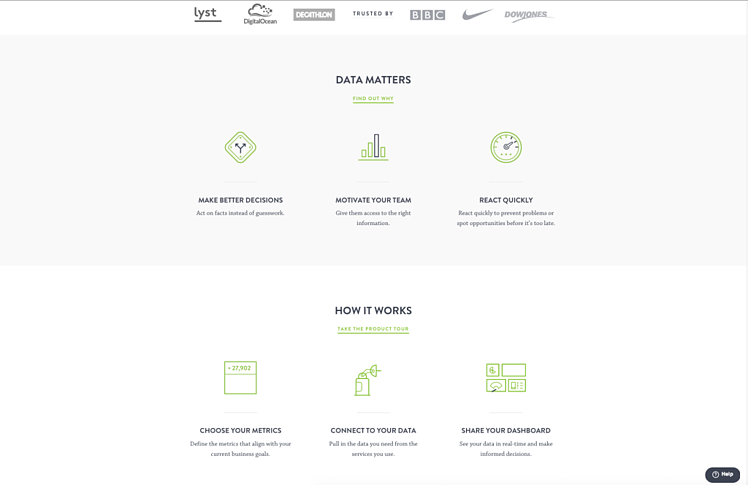 Geckoboard’s body of their landing page utilizes whitespace in an efficient way. The information is easy to digest as it is spaced out, and the bright green icons and dark gray text contrast well against the whitespace. The fewer form fields, the better. You’ll usually get more conversions from a short form and asking for too much information can deter people from filling out the form at all. You don’t need to know everything about the user immediately. Asking for basic information like name and email address is a great place to start. If you are considering adding more fields to your form, keep in mind that the information you ask for should be worth the value of the content you are offering. Brokers For Life does an excellent job of asking enough questions to provide the right information to the user without overwhelming the experience. These best practices may seem like small steps, but together they can reach great results. 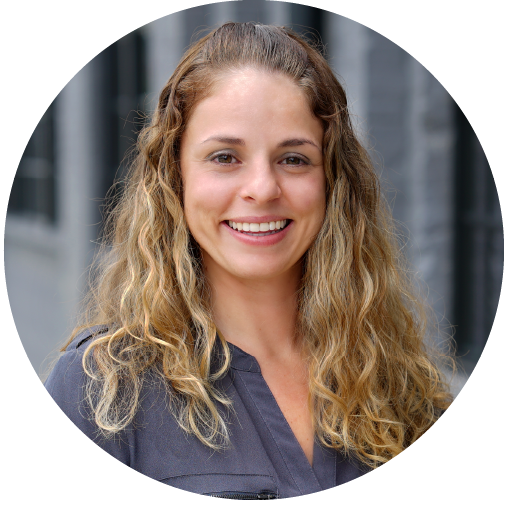 There is no perfect formula, but designing with the user in mind and A/B testing is the best way to ensure that you have the accurate design to drive potential customers down the funnel. 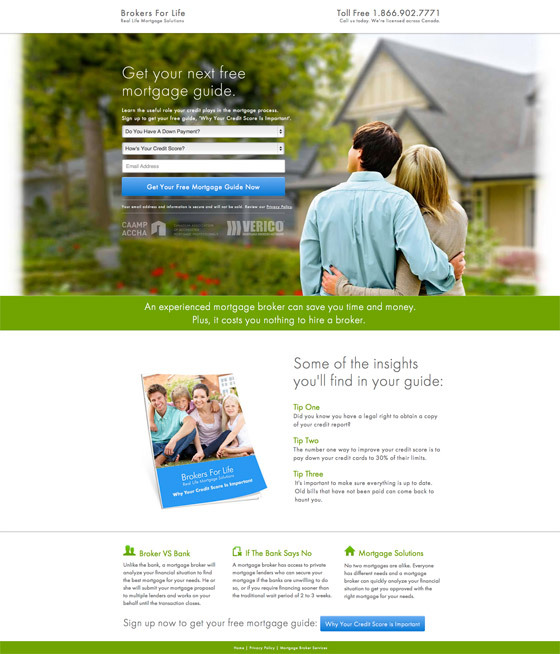 Are you looking to optimize your landing page designs or your website? Contact us today to get in touch with our Creative Team!